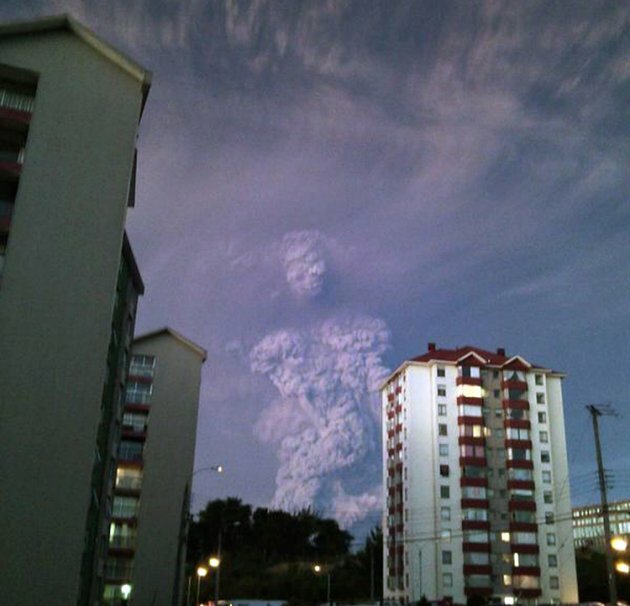 Is this the Calbuco’s titan coming out of his home sweet home? 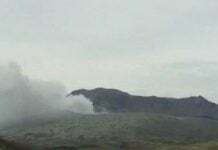 Look at this amazing human-shaped cloud emerging from the ash of the fiery volcano! 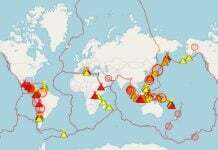 Stuff like this gives me a little more understanding of how ancient civilizations thought that volcanoes and other natural phenomenon where the “gods” and not just coincidences. This reflection on the window (flash?) makes it even more look like an evil titan engulfing the entire city! 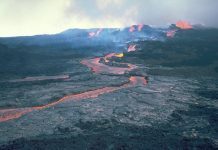 Now I can fully understand why you would think the spirit of volcanoes needed to be appeased. 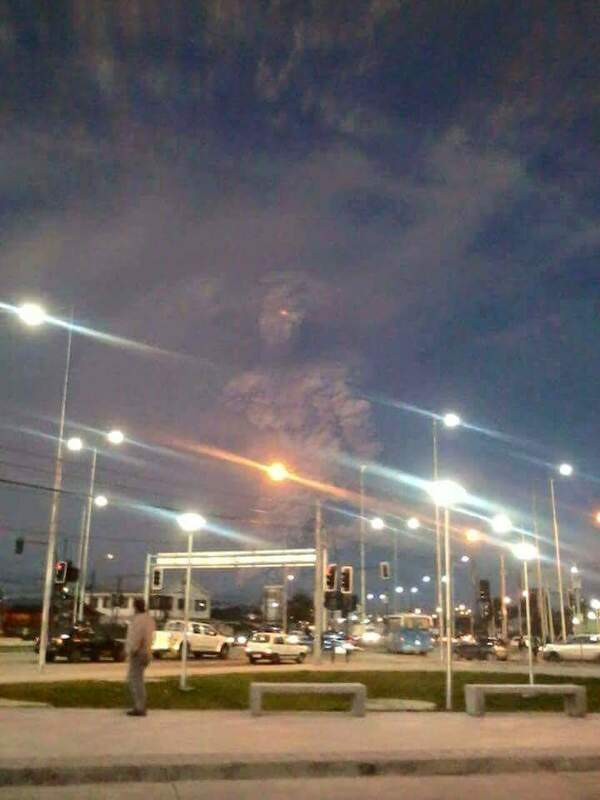 Yes, if you are back a few hundred years and a giant ash cloud man is looking at you, I guess we do all sorts of crazy things to make it disappear! Watch some other amazing images and videos of the Calbuco explosion. Do you see the face?